FH ESTATES and Fred Hickey are delighted to bring 68 College Gate to the market. This highly desirable 3 bedroom semi-detached home that is ideally situated in this much sought after mature cul de sac that fronts onto a large open plan landscaped green area. 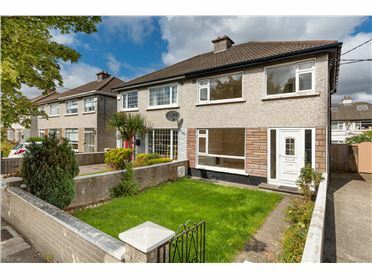 It is within minutes walk of the Phoenix Park, shops, schools and much more. Rarely do you see such a wonderful property in College Gate come to the market. This delightfully bright spacious home has been exceptionally maintained by its current owners and offers a unique opportunity to potential purchasers. 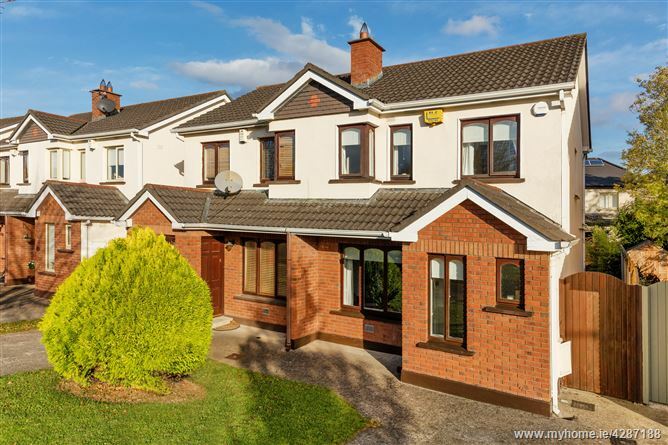 In brief the accommodation comprises of an entrance hall with guest wc, bright family reception room and double doors into dining room and kitchen area, utility under the stairs, three bedrooms upstairs and family bathroom. There are landscaped gardens to the front and rear to include a driveway. Viewing is highly recommended. Entrance Hall. Bright entrance hallway with timber flooring and recessed lighting. Downstairs WC fully tiled. Under stairs utility area. Living Room. Accessed from both the hallway and through double doors from the kitchen. Timber flooring with an open fire and feature fireplace, with granite hearth. Kitchen/dining Room. Open-plan kitchen/dining area with recessed lighting. Bespoke tiled flooring in kitchen. Good selection of solid wood presses, with integrated oven, hob and washer/dryer. Bespoke tiled flooring in dining area, with double doors leading to the landscaped patio and rear garden. Landing. Carpet flooring from stairs leading to upstairs landing, with recessed lighting. Good sized hotpress, with â€™Stiraâ€™ access to attic. Bedroom 1. 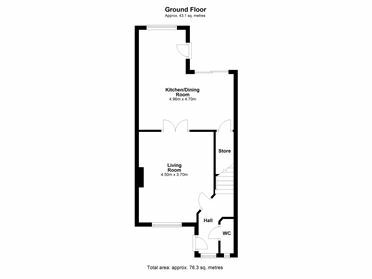 Large double bedroom with solid timber flooring and double fitted wardrobes. Bedroom 2. 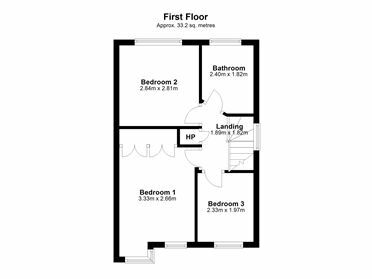 Second double bedroom with solid timber flooring and double fitted wardrobe. Bedroom 3. Single bedroom with solid timber flooring. Family Bathroom. Fully tiled family bathroom, fitted with walk-in power shower. Recessed lighting with feature bath with. w.c and whb.